Teodora Mitze-Circiumaru, a native of Romania, met her husband, Levi, while they were students at Mercer College in Georgia. They moved to Meridian this summer so Levi could teach at Meridian High School. 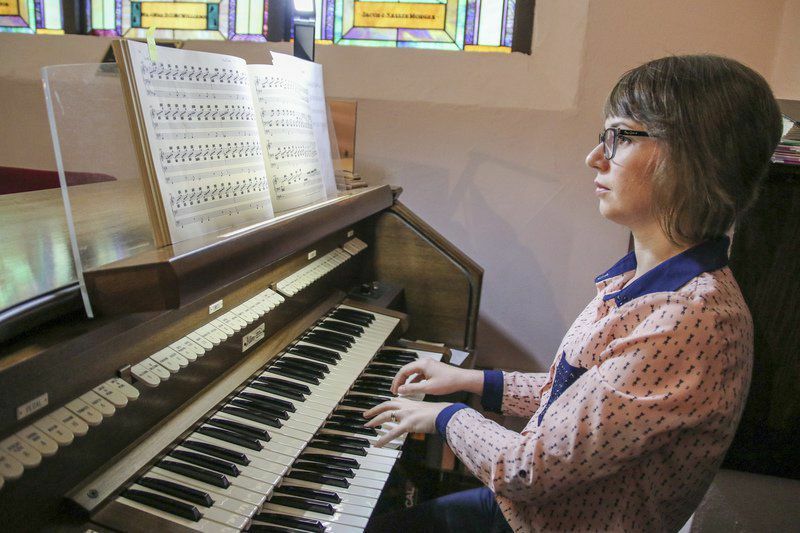 Teodora uses her music skills as an organist at First Christian Church in Meridian. Living thousands of miles apart as children Levi and Teodora Mitze-Circiumaru never knew their love for music would one day bring the two together – or to Meridian. Levi Mitze-Circiumaru teaches Algebra I at Meridian High School and Teodora is the organist at First Christian Church where the two attend. As a young girl in Romania, Teodora started playing the piano when she was in fourth grade. She later discovered in high school she wanted to play the organ and began to take private lessons. 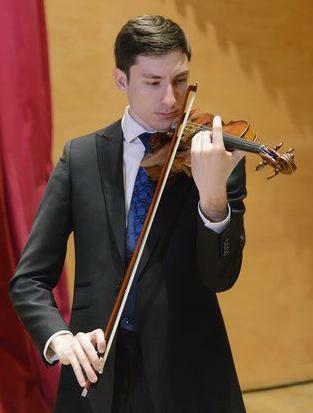 Levi is also a musician having played the violin since the age of eight. He plays the violin at First Christian Church occasionally. The two met when Teodora came to America in 2014 to pursue an Artist Diploma at Mercer University in Macon, Ga. Levi was at the university finishing his undergraduate degree in violin and computer science. Being from Romania Teodora said her first time to America was a little bit of a culture shock. After finishing her Artist Diploma, Teodora was offered a job in Bucharest, the capital of Romania. During the year they were living there, Levi Mitze-Circiumaru had the opportunity to play with several professional orchestras. But, the best experience was when the two had a second wedding with Teodora’s family in Sibiu, Romania, Levi said. “The ceremony was held at the Sibiu Lutheran Cathedral of Saint Mary – it was an incredible experience,” Levi said. “This city is like a medieval town, well preserved. So much beautiful architecture with a deep history. After living in Romania for a year the Mitze-Circiumarus decided to return to the states so Teodora could get her doctoral degree at Florida State University. While living in Florida, Levi Mitze-Circiumaru became interested in a program – The Mississippi Teacher Corps. A program that eventually led them to Meridian. “The program takes people who don’t have degrees in education but are suited to teach in a high need subject, like mathematics,” Mitze-Circiumaru said. “In return for a full tuition masters degree from the University of Mississippi, you can commit to teaching for two years in a high need school somewhere in Mississippi. The Mitze-Circiumaru’s said since moving to Meridian a month ago they haven’t had much spare time, but when they do they enjoy playing music together, reading and watching movies. Levi Mitze-Circiumaru moved to Meridian with his wife, Teodora, so he could teach algebra at Meridian High School through the Mississippi Teacher Corps program. Their love of music brought the couple together. Levi, who previously has played violin with some orchestras, sometimes shares his talent with First Christian Church in Meridian.